AUSTRALIAN Warehouse Solutions (AWS) was appointed exclusive distributor for the FROMM range of plastic strapping tools in Australia on January 1, 2006. The new generation tools are particularly user friendly and work well with both PET and PP strapping up to 19mm. The seal efficiency and pulling power of FROMM’s 323 battery tools are second to none. The P356 pneumatic tools are also leading the world in heavy-duty installations. 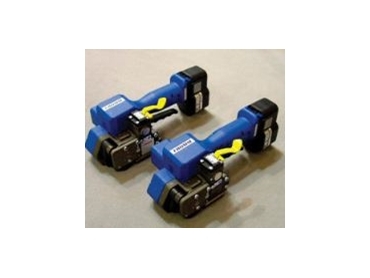 When combined with the new improved PET strapping, these tools are virtually eliminating traditional steel strapping.